The initial launch of the Windows October Update was an epic fail. 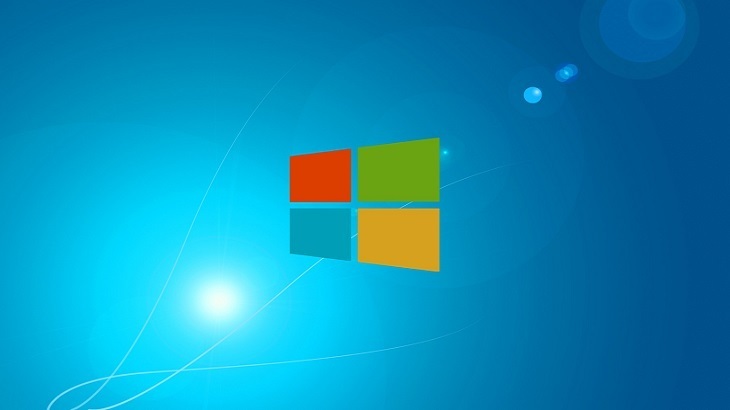 After being released for less than a week, Microsoft put a halt on any updates that had yet to initiate, so they could resolve the issues its users had been reporting. Some of those bugs included incorrect CPU utilization, .zip issues, file-wiping problems, and driver crashes. Microsoft opted to take their time to fix each of these issues and ensure the update executed as should. Due to the time this took, they ended up missing their October deadline. However, according to TechRepublic, Windows October update is now live. If users want the update now, they will have to access it through the Windows 10 download page, here. The latest version of the October update will also be released through the Windows Update feature; however, that release date had not yet been set. A couple of the key features of this update include a cloud clipboard and an automatically clearing hard drive space. As always, PC Matic encourages timely updates to all of your applications, operating systems included. Once this update is available through the Windows Update feature, please be sure to update your PCs accordingly. Newsletter, tips Microsoft, Update. permalink. I installed the re release of 1809 a couple of days ago. Now Edge won’t load. This was one of the complaints with the original release. Other than that no problems. A happy PC Matic user for a couple of years. I have a desktop still running XP. Works great because of PC Matic! Does everything I want it to. Have a Laptop I bought in 2014 with windows 8 it automatically updated to W10. After update the cd/dvd drive no longer worked. The drive had hardly been used so I blame Gate’s Team of screwups. The best way to ‘fix’ Windows 10 updates is is stop them. There is now a program to do this. Just keep your anti-virus up-to-date. I abhor Win 10.. so much so I switched to a Chromebook.. do I miss all the apps , bells and whistles? No , no and no. I’m begging my wife to make the switch.. Please baby !! Until she does , I’m still stuck seeing all the issues .. she will have to get used to my yelling at her computer!! Won’t let her suffer alone !! I have the version running before that big security update in April where you had to update or else! Well my update has failed and continues to fail with some error about me needing to update my BIOS and sometimes telling me I need to buy a licensed version. Really whacko. To the point, my system doesn’t crash and may occasionally get slow, but so far so good. I am wondering if I will switch to a Mac? Yeh, I’m in a similar boat to Tim. But I have W7. Still, the updates can be just as lethal. One such update earlier in the year had many components but some pc’s were getting hung between reboots. I took my expensive laptop to a technician who apparently knew less than me. I got back an expensive laptop housing box with crappy harddrive, OS and very little in the way of data off my extensive backup and image. And no expensive software components installed by the maker that made my laptop so unique and indispensible to my needs. Not only that, but it now won’t accept me as administrator so basically I have lost the income that pc provided for me. I know all these things have been caused by poor workmanship by the tech, but if the W7update had worked correctly in the first place I would not have needed the slackas technician. A little late on the Draw aren’t you . It’s been out for a while and you can also get the ISO for it. ANd I am not talking about the retraced release either. More intrusive and more bells and bombs I don’t need or use. Everything is now to connect or run on net. Particularly games which seem to have become the stealers paradise. The thieves and hackers are always ready before Microsoft drops a b0mb. Its almost like the hackers design or work for Microsoft. Stuck with it or Apple and they are not a monopoly? So much wrong to ever be totally right. Just one old guys opinion. I really liked WIN10 until last month when an update took down my PC and I couldn’t revive it for weeks. It has started me to think of the alternatives. Could I stomach the cost of a Mac? Could I deal with the incompatibility issues and software limitations with Linux? Could I live with just an iPad? Right now my answers are no, no and no. If I have another similar experience in the future with an update, I think I will force myself to change. I’m no computer whiz kid and because of this I do not like Windows 10 and wish XP was still viable. That said, I have never had so many issues with my computer as I have had with Windows 10. I don’t like the intrusiveness of 10. I don’t like that so much needs to be done online. I don’t think Microsoft had a good product but released it before it was ready. Why else were major reinstalls needed as updates? No, Windows 10 stinks and this October update is probably why my desktop has been acting up for the past few days and crashed today. I now need to hire somebody to fix this or just buy another computer and if it is due to the update all I can say is; Thanks Microsoft, I really needed this problem to add to other things I have going on right now. @Tim:Like you, I hate 10. XP was the best; it wasn’t broken, so they decided to fix it anyway! @Tim: My thoughts exactly, windows 10 does stink. That is why I still use Windows 7 professional. I never let their updates install till I look at each one & most of the time none of their updates are needed. I hide the updates & they keep sending them again. So I blocked them from sending any updates & check about once a month. My computer works great & never have any problems. My sister has windows 8, I also hate that operating system too. I use Trend Micro Maximum Security & usually buy it from Ebay. I,m glad I prevented them from installing windows 10, they caused may people expensive repair bills. You can still purchase a new computer with Windows 7, as far as I’m concerned that is the best operating system micro soft ever invented. Best wishes to you Tim.